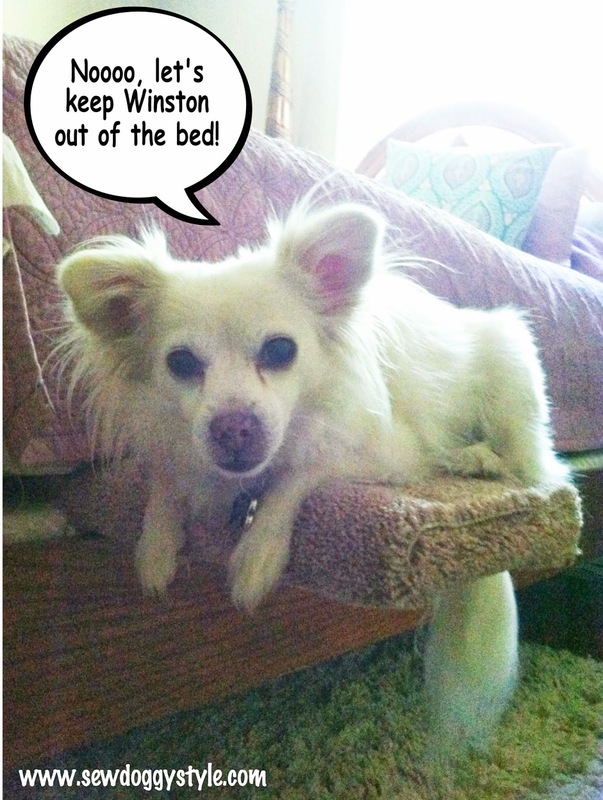 Despite his young and athletic build, Winston has never been able to jump onto the bed. I've been thinking long and hard about this dilemma because I knew I did not want a bulky staircase in my already small bedroom. 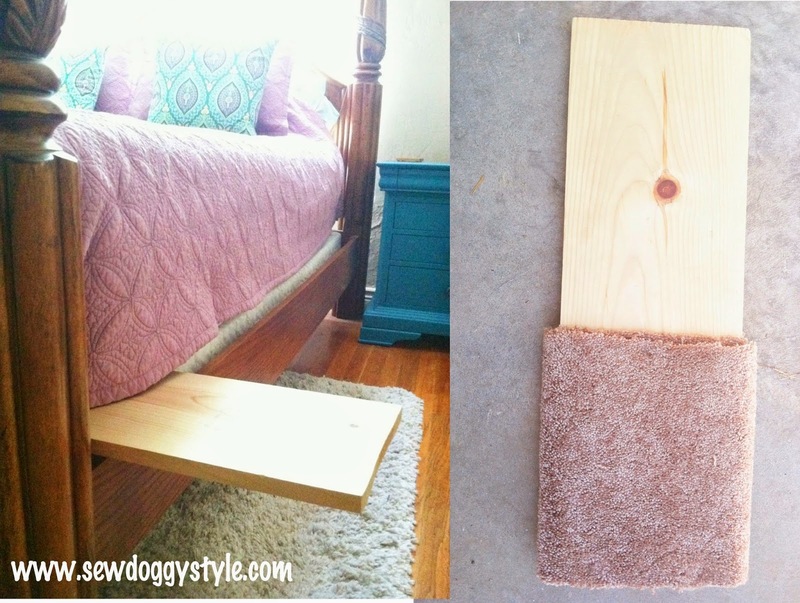 This dog step is nothing but a wood slab tucked between two mattresses with carpet scraps covering the portion sticking out. My floor is still open and Winston will no longer be waking me up in the middle of the night crying because he jumped down and wants back up. Hallelujah to that! 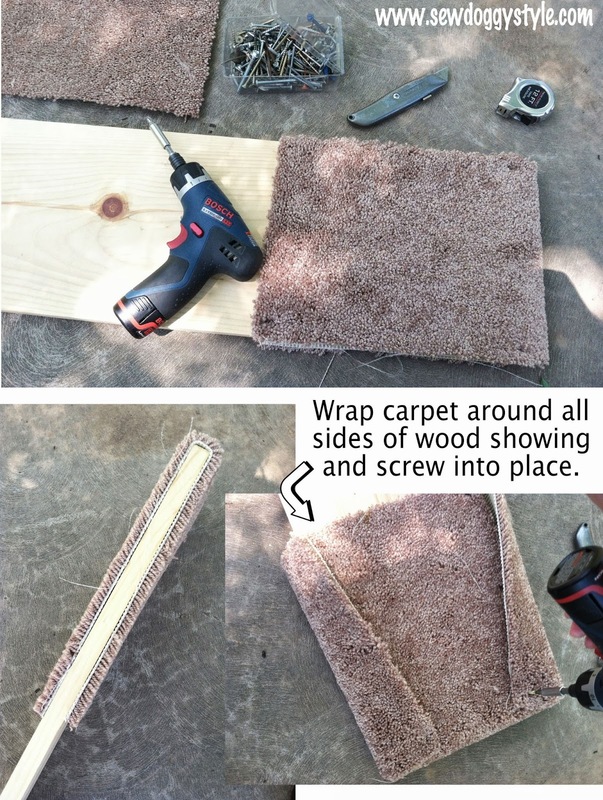 You'll need a sturdy slab of wood at least 3/4" thick, some carpet scraps, a drill with 3/4" screws, and a box cutter. My wood slab is 30" long by 10" wide. I decided on 12" of wood sticking out for the step after I did a test fit (shown in above pic). 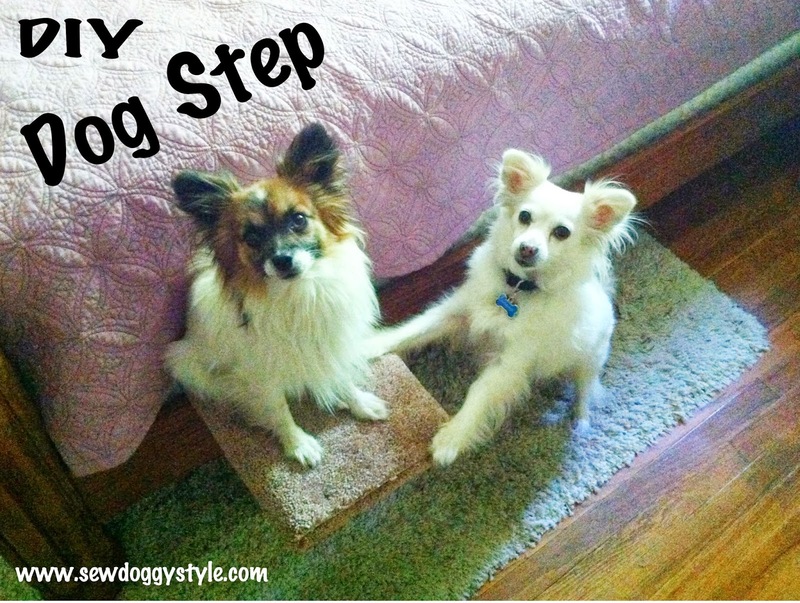 I'm not so sure I'd make this step for a dog more than 12 pounds. But for my dogs, it's very sturdy and is working out great! I made my carpet scraps big enough to cover all areas of wood that will be exposed, mainly for safety reasons. You could also use foam or layers of towels or anything thick enough that will get rid of the sharp corners and risk of splinters from the wood. That's it! No magic wand or skills needed for this project! What do you think? Probably not the prettiest thing we've ever made, but dog steps and staircases always look out of place if you ask us! Practical is what is important. I tried doing that for my corgis. They were too heavy so it acted like a diving board. They were not amused, but I was! Excellent - thanks for sharing and demonstrating this idea,WOOF WOOF! Thank you for your wonderful blog - I so enjoy it!